I am sure that many of you realise that the President of the United States can stand for only two terms of office. I am guessing that not many know that the same structures apply to the Chair of an NPCC coordinating committee! I have chaired the NPCC Local Policing Coordination Committee for two three year terms, plus an extra year when ACPO became NPCC. The Chair of the coordinating committee is responsible for operational matters to do with local policing. Areas covered include response policing, neighbourhood policing, anti-social behaviour and homelessness, contact management, citizens in policing, and mental health. The list is not exclusive! It does sometimes seem that anything that hasn’t found a comfortable home in other coordinating committees falls towards the world of local policing. You may reflect that sounds like a policy version of what happens operationally every day? Under the leadership of ACC Dave Hardcastle a response policing portfolio has been established. Supported by a wide network of practitioners, Dave has been looking at what goes on in the world of response, what works, and how we ensure the wellbeing of those who go to job after job without brief moments of respite. This work has been very important and sits well alongside the leadership by CC Gavin Stephens of the Neighbourhood Policing portfolio. Gavin and his team, working with the College, drew on over 400 examples of good neighbourhood policing sent in by neighbourhood practitioners all across the country. The guidance is a sound base for what is now every force in England and Wales to pilot this work. Neighbourhood policing solves problems early before they turn into crimes and incidents, which helps reduce demand on other parts of policing, as well as supporting communities. 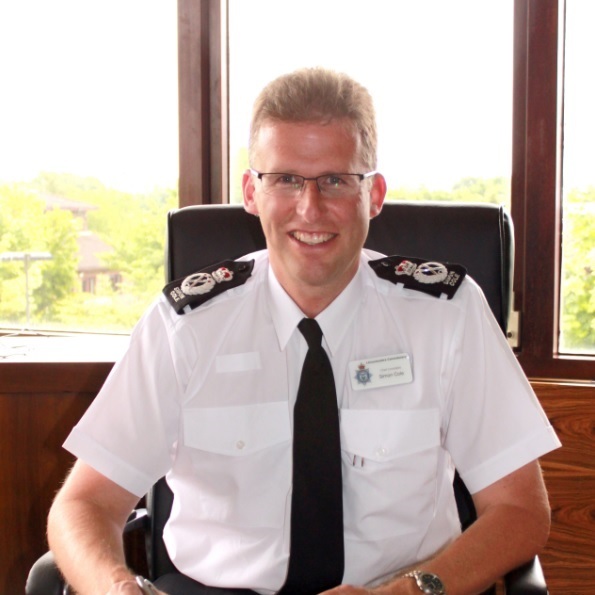 ACC Alan Todd has carried an enormous amount of work on the contact management portfolio. He and I have spent much time looking at the growth in 999 calls, how best to deal with 32 million 101 calls (especially when a number of them perhaps are not for the police in the first place), and the development of online options. That has seen me take the role as senior responsible officer for the Single Online Home, a policing portal that allows the public to report crime. This is currently used by ten forces. The Single Online Home also provides a place for transactions and local information. Already a number of forces are dealing with reported crime, reported road traffic incidents and even relicensing and paying for firearms licenses online. Looking ahead we will soon need to re-contract the 101 service, and we have been working hard to try and look at how the public contact the police in the future. Anyone with teenage children will know that the idea of actually using a telephone to make a phone call on is not something that the next generation value in the way that I did growing up! DAC Laurence Taylor has tried to identify best ways of dealing with homelessness in partnership. As those of you dealing with it day to day will know, it is a really complex issue with many of those who are homeless showing multiple complex needs. Laurence has been liaising with the government about best ways forward. One of the big highlights of my time as chair has been the growth of the citizens in policing, which has been pushed very hard by the now retired CC Dave Jones, and continued by his successor CC Lisa Winward. The cadets, volunteers and special constables who give up so much of their own time to support us are absolutely invaluable. Recent strategies for the special constabulary and also for volunteers have been huge pieces of work and Lisa and colleagues have driven this along with real vigour. In recent months the mental health portfolio, led by CC Mark Collins, has come across to Local Policing. The day to day impact of limited access to places of safety, availability of beds and waits for ambulances have significant impact on policing. This has led to ministerial round tables, Home Office working groups, the Crisis Care Concordat, and huge local efforts to improve the partnership with health. On occasion the discussion around local policing has been lost in noise about how many police forces there should or shouldn’t be. It seems to me that this is a pretty moribund debate, often linked to a belief in potential savings that in all likelihood have already been taken. When working as a staff officer to CC Sir Edward Crew in the mid-1990s, he regularly commented about police structures. Here we are almost a quarter of a century later and that same discussion is ongoing. In the meantime attempts to change structures have been unsuccessful, the necessity for local partnerships has grown, and the emergence of locally focused PCCs has, understandably, reinforced the localism agenda. However, that should be replicated in terms of regional capabilities, and finally national capabilities. One of the key roles has been to liaise across forces and agencies, reaching across to government, opposition politicians and, crucially the Association of Police and Crime Commissioners. We do need to think about policing in terms of capabilities – neighbourhood policing, investigations, intelligence gathering – and agree what should be developed at national, regional and local level. Of course what I will not miss is the Friday at half past four call from the NPCC Press Office offering me the opportunity to quote on the latest news request for the Sunday papers! Those requests have covered everything from response times through neighbourhood policing models, shining laser pens at police aircraft, through to budget cuts. As I hand over to Chief Constable Olivia Pinkney from Hampshire Constabulary I would want to close by reflecting on the enormous hard work carried out by a huge network of people across the last seven years.